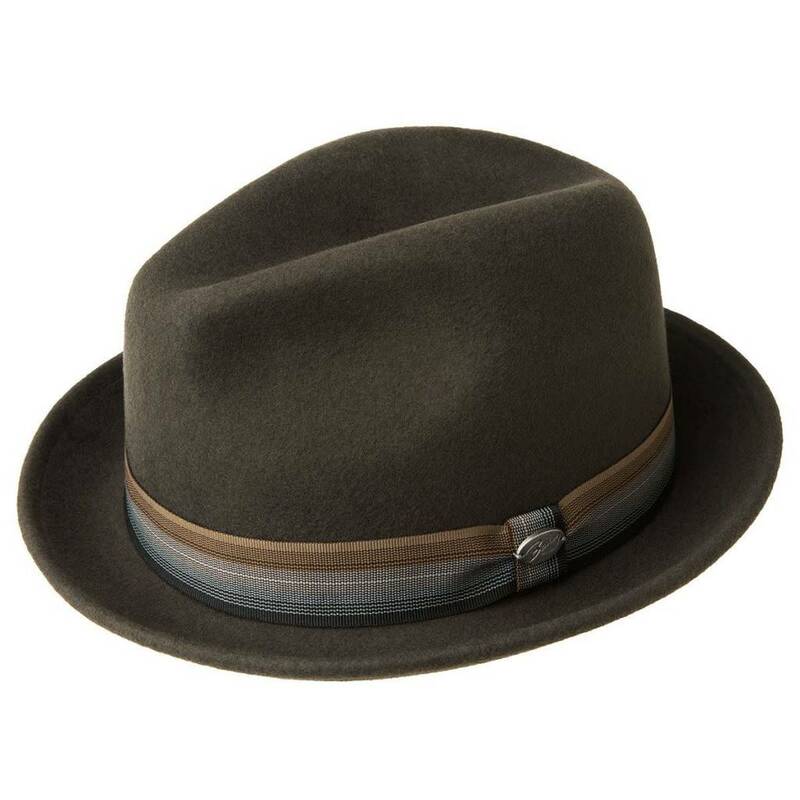 This hat is a fedora with a striped Grosgrain trim. 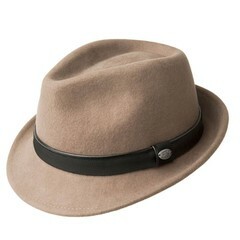 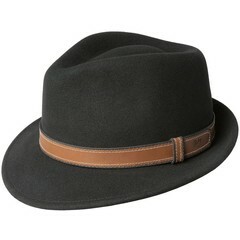 The Kluge is a Fedora with a Center Dent Crown, a 1 3/4" Snap Brim, and is fully lined. 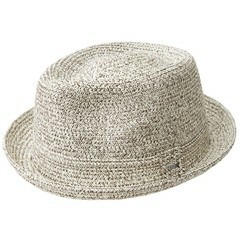 Included is a Comfort Sweatband.